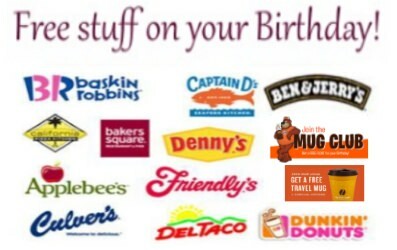 This is a list of places, where you can get free food or gifts on your birthday. A few weeks before your birthday, click the offer or offers you would like to receive, then sign up for the freebies. I suggest, to use a separate email to claim those deals. Most of the companies require to sign up at least a couple weeks before your birthday.